Hello! I have a cute little anniversary card to share with you today. I had three anniversaries in one week so I needed something really quick and simple and this layout fit the bill. I made three of these clean and simple cards. The main image is a pre- purchased felt mouse. I simply adhered him to a square piece of designer paper and added a bow for embellishment. 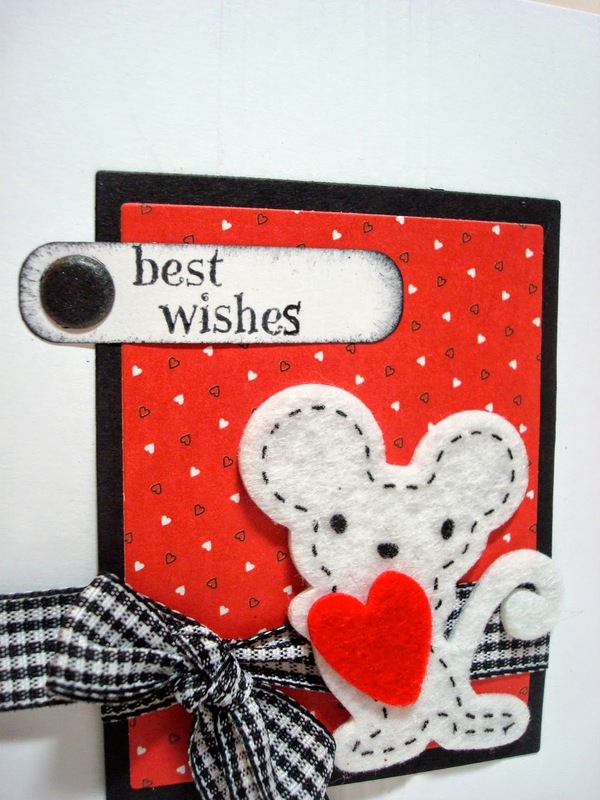 I stamped the sentiment onto a Spellbinders tag and then inked the edges with black ink so that it stood out more. A simple black brad was added to highlight the sentiment. And here is a close up of this little cutie. I kept the sentiment somewhat generic so that the card could be used for other occasions as well. So cute! Love the felt mouse! You made that?! It's so cute! 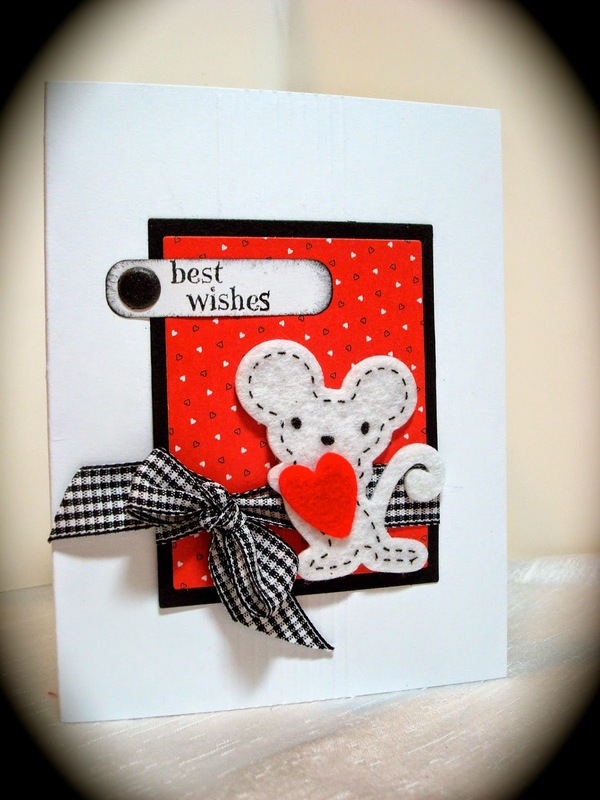 Love the CAS look and the little pre bought mouse is adorable, fab card!